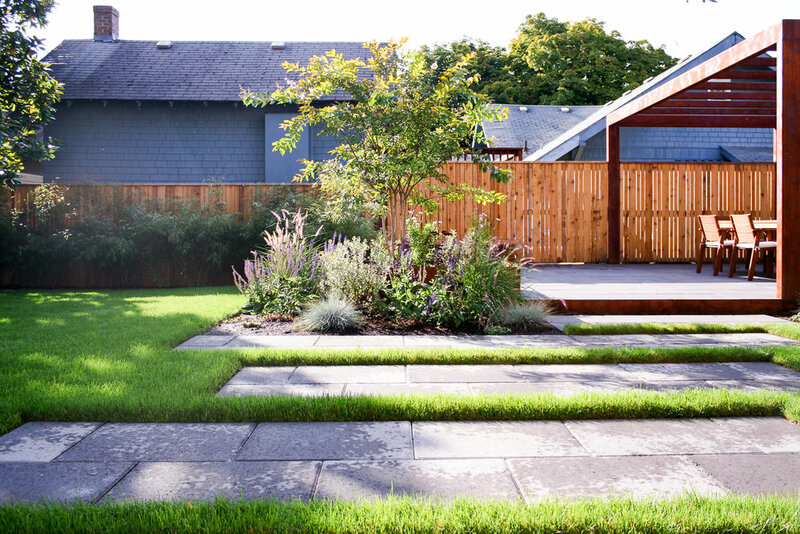 The spacious backyard of this NE Portland Craftsman was almost entirely occupied by a large concrete slab, the foundation of a garage that was never constructed. 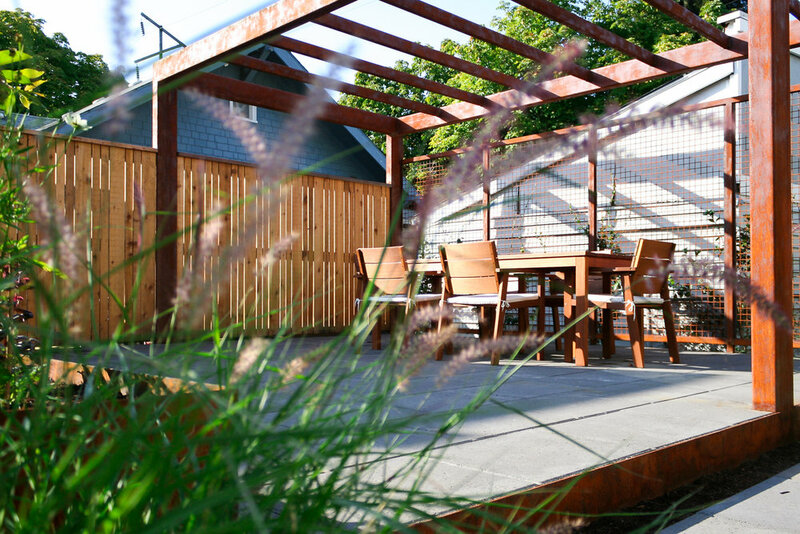 Pistils modified the existing slab, creating a new patio area for entertaining, dining and relaxing featuring reclaimed wood slab benches and a rusted steel pergola, trellis and fire pit. Concrete architectural slab pavers were used to create an inviting walkway to the new outdoor living space, surrounded by rusted steel planting beds which match the pergola and fire pit. 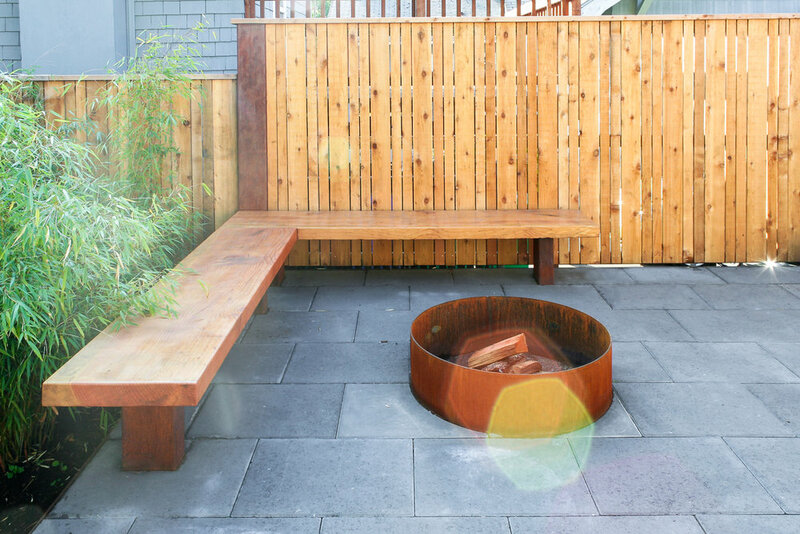 The backyard was enclosed with new cedar fencing, surrounded by plantings. The plant palette is lush and dynamic, featuring year-round interest from lavender, Coreopsis, Crepe Myrtle, bamboo, evergreen jasmine and Pennisetum 'Karley Rose'. 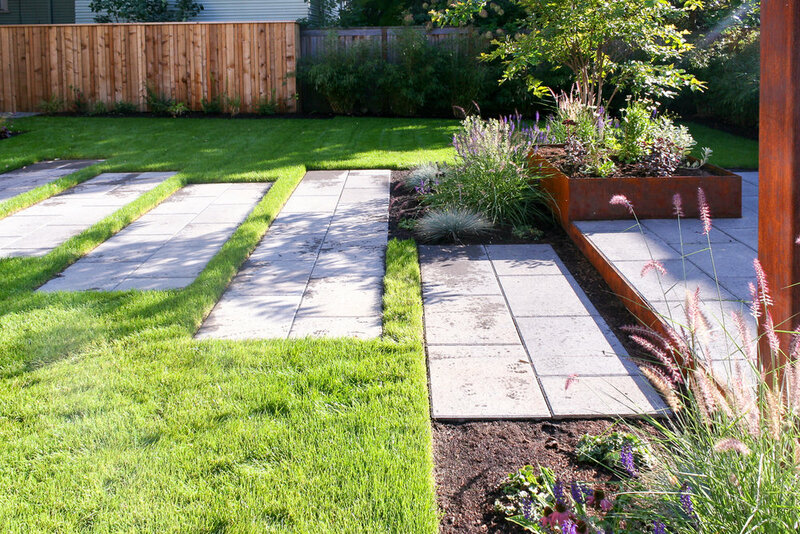 © 2016 Pistils Landscape Design + Build - All Rights Reserved.